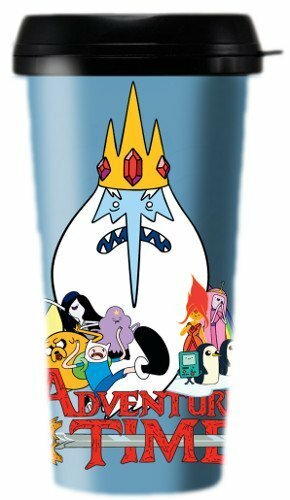 Take the adventure with you when you use this plastic travel mug featuring the gang from Adventure Time. The cup has a black pop-off lid with a snap opening and an interior that twists off for removal. Ages 12 and up. Hand wash only. Not microwave safe. If you have any questions about this product by Adventure Time, contact us by completing and submitting the form below. If you are looking for a specif part number, please include it with your message.